Book Love is in the Air! Although February is the shortest month of the year, it brings some of my all-time favorite holidays: Valentine's Day, when stuffing my face with chocolate is not only excused, but encouraged; and Library Lover’s Month, when we can celebrate some of the best places for bookworms to learn about new releases. Thinking about libraries always reminds me of my childhood trips to my local library --- which was conveniently located across the parking lot from the pool, so I was able to combine both of my favorite activities into one trip. That library was the place where I discovered so many books that I love, including the Little House on the Prairie and Anne of Green Gables series. 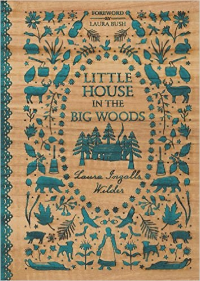 These are easily some of my happiest childhood memories, so I was delighted to see that the Little House series has been given a gorgeous makeover with new hardcover releases that look like woodcuts. You can see a picture of one above. Of course, being an avid reader means that you're constantly making room for new favorites. With so many books releasing every month, it can be difficult to narrow down which ones you'll try. This month, there are two books in particular that I recommend for you and your children: SCI-FI JUNIOR HIGH by Scott Seegert and John Martin, and THE PLAYBOOK by Kwame Alexander. Like many of you, I definitely remember my awkward, cringe-worthy middle school years. Going to school on Earth was wild and wacky enough, so just imagine attending junior high in space! In SCI-FI JUNIOR HIGH, Seegert and Martin tell the story of Kelvin Klosmo, whose classmates believe is the galaxy's smartest middle-schooler. But what if he just isn't the star they imagine him to be? In celebration of this hilarious release, Kidsreads.com's Dana Cuadrado asked Seegert and Martin a few questions about working together, illustrating all the quirky little aliens and, of course, what they have planned for the next book in the series. Click here to read their answers. When it comes to THE PLAYBOOK, you probably recognize Kwame's name from his 2015 Newbery winner, THE CROSSOVER. 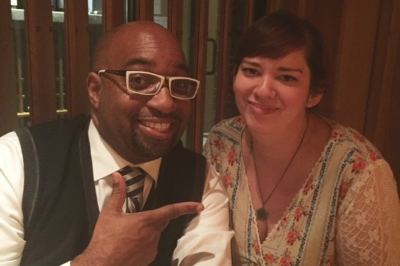 I had lunch with Kwame and a few librarian friends back in November, and I learned that he is not only extremely gifted and generous, but literally laugh-out-loud hilarious! Kwame spoke to us about his love of poetry and future plans for THE CROSSOVER (hint: there may be a prequel coming your way in the next few years). 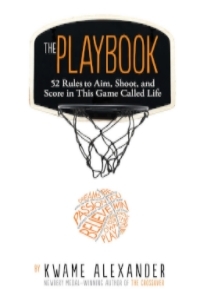 In THE PLAYBOOK, Kwame delivers 52 basketball-themed lessons that apply perfectly to daily life --- even if you, like me, are the least athletic person you know. My favorite? "Rule #11: Don't let past mistakes stop you from playing the current game. Put your full heart, pure passion, and unstoppable faith on the line as if you've never hit the court before." We have our review below. You can see a photo of me and Kwame above! That's all for this update! As always, be sure to check out our contests for you below, as well as our series update --- we've added new titles for 19 different book series this month. In SCI-FI JUNIOR HIGH by Scott Seegert and John Martin, Kelvin Klosmo learns about friendship, acceptance and, of course, aliens! 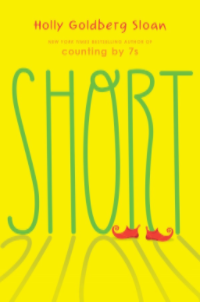 Full of laughs and out-of-this-world entertainment, this book is sure to be an instant hit. 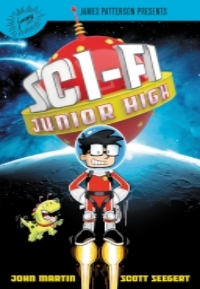 In celebration of the release of SCI-FI JUNIOR HIGH, Kidsreads.com's Dana Cuadrado asked Scott and John a few questions about how they worked together to write the book, their scientific research and what's next for Kelvin Klosmo in this interview. Kelvin Klosmo isn't just the new kid at school --- he's the new kid in the galaxy! Welcome to Sci-Fi Junior High: an inter-galactic space station with students of all shapes, sizes, smells, and...slime content. As the son of Earth's two most famous geniuses, Kelvin isn't just the smartest kid in the world...he's the smartest kid in the UNIVERSE. At least, that's what everybody at Sci-Fi Junior High thinks. So, maybe Kelvin lied a little about being a genius to fit in. And maybe a mad scientist is about to take over the universe unless Kelvin can stop him. Maybe everyone is doomed. Reviewed by Dana Cuadrado. You gotta know the rules to play the game. Ball is life. Take it to the hoop. Soar. What can we imagine for our lives? What if we were the star players, moving and grooving through the game of life? What if we had our own rules of the game to help us get what we want, what we aspire to, what will enrich our lives? Illustrated with photographs by Thai Neave, THE PLAYBOOK is intended to provide inspiration on the court of life. Reviewed by Audrey Slater. 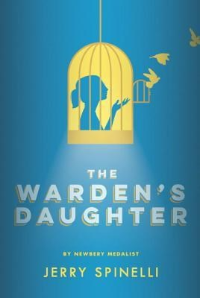 Cammie O'Reilly is the warden's daughter, living in an apartment above the entrance to the Hancock County Prison. But she's also living in a prison of grief and anger about the mother who died saving her from harm when she was just a baby. And prison has made her mad. This girl's nickname is Cannonball. In the summer of 1959, as twelve turns to thirteen, everything is in flux. Cammie's best friend is discovering lipstick and "American Bandstand." A child killer is caught and brought to her prison. Reviewed by Alyssa Cami. It’s a friendly switcheroo at Sure Things, Inc.! Manny decides to roll out Sure Things, Inc.’s Next Big Thing --- the Candy Toothbrush. Of course every good inventor needs a good CFO, so Billy steps up to the plate. 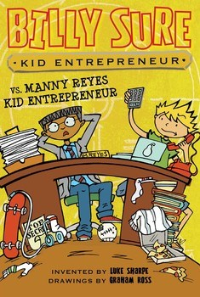 But is Manny a better kid inventor than Billy? And does Sure Things, Inc. have room for the both of them? Tess and her brother, Max, are sent for the summer to their aunt’s sleepy village in the English countryside, where excitement is as rare as a good WiFi signal. 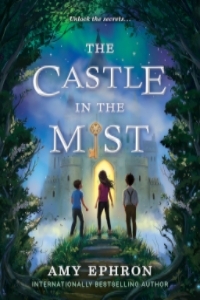 So when Tess stumbles upon an old brass key that unlocks an ornately carved gate, attached to a strangely invisible wall, she jumps at the chance for adventure. And the world beyond the gate doesn’t disappoint. She finds rose gardens, a maze made of hedges and a boy named William who is just as lonely as she is. But at William’s castle, strange things begin to happen. In a magical, fantasy world that blurs the line between reality and imagination, readers are left to wonder exactly what they’d wish for if wishes could come true. - We will have our review soon! The start of a new year is always the perfect time to set some new reading goals for yourself. Whether you hope to read a certain number of books or try out a new genre or author, there are plenty of ways to make sure your TBR for the year is perfectly piled to match your goals. While you're thinking of your read-solutions for 2017, why not try some nonfiction books? 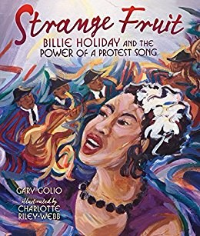 Nonfiction may sound like a total snooze-fest, but we think nonfiction picture books are a great way to learn about a new subject while enjoying gorgeous illustrations and photos. 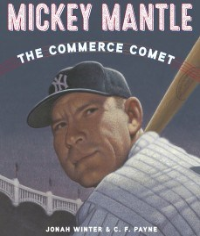 With that in mind, we've curated our Nonfiction Picture Books bookshelf, a collection of biographies and science books that will teach you about famous historical figures, athletes and even animals. 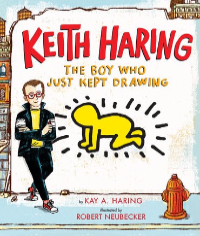 No matter your age or interest, we're sure you'll find something fascinating on our Nonfiction Picture Books bookshelf. Click here to check out our Nonfiction Picture Books Bookshelf. Winter Reading 2017: At Bookreporter.com, we are kicking off 2017 with our third annual Winter Reading Contests and Feature. On select days between now and February 24th at noon ET, we are hosting a series of 24-hour contests spotlighting a book releasing this winter and giving five lucky readers a chance to win it. We also are sending a special newsletter to announce the day's title, which you can sign up for here. Word of Mouth: Tell us about the books you’ve finished reading with your comments and a rating of 1 to 5 stars. During the contest period from February 17th to March 3rd at noon ET, three lucky readers each will be randomly chosen to win a copy of I SEE YOU by Clare Mackintosh and THE MOTHER'S PROMISE by Sally Hepworth. Sounding Off on Audio: Tell us about the audiobooks you’ve finished listening to with your comments and a rating of 1 to 5 stars for both the performance and the content. During the contest period from February 1st to March 1st at noon ET, two lucky readers each will be randomly chosen to win the audio versions of Faye Kellerman's BONE BOX: A Decker/Lazarus Novel, performed by Richard Ferrone, and Christina Baker Kline's A PIECE OF THE WORLD, performed by Polly Stone. "What's Your Book Group Reading this Month? ": Each month, we ask book groups to share the titles they are reading that month and rate them. From all entries, three winners will be selected, and each will win 12 copies of that month’s prize book for their group. Note: To be eligible to win, let us know the title of the book that YOUR book group is CURRENTLY reading, NOT the title we are giving away. This month's prize book is BRITT-MARIE WAS HERE, international bestselling author Fredrik Backman's irresistible novel about finding love and second chances in the most unlikely of places. The deadline for entries is Wednesday, March 8th at noon ET. Win 12 Copies of GLORY OVER EVERYTHING for Your Group: GLORY OVER EVERYTHING by Kathleen Grissom, the author of the beloved book club favorite THE KITCHEN HOUSE, is a heart-racing story about a man’s treacherous journey through the twists and turns of the Underground Railroad on a mission to save the boy he swore to protect. We are celebrating its recent paperback release by giving three groups the chance to win 12 copies of the book. The deadline for entries is Thursday, March 23rd at noon ET. Julia is very short for her age, but by the end of the summer run of "The Wizard of Oz," she'll realize how big she is inside, where it counts. She hasn't ever thought of herself as a performer, but when the wonderful director of "Oz" casts her as a Munchkin, she begins to see herself in a new way. Julia becomes friendly with the poised and wise Olive --- one of the adults with dwarfism who've joined the production's motley crew of Munchkins. With her deeply artistic neighbor, Mrs. Chang, Julia's own sense of self as an artist grows. Reviewed by Angela Warsinske. Liam just wants to go out running with his mates --- the Junior Great North Run is not far away and there’s training to be done. But Mam needs him today, to help old Harry clear out his house. And Harry knows a thing or two about running. When he was a lad, he says, he ran from Newcastle to South Shields. 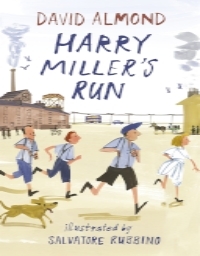 "But Harry," says Mam, "it’s thirteen miles!" Harry grins. "Different days," he says. Here is the story of that day: the day when Harry and his pals ran and ran and ran through the blazing sunlight all the way to the sea. Reviewed by Norah Piehl. It's bad enough Ian Barker has to spend his 12th birthday with his sister and their two annoying cousins. The four of them can't ever hang out without getting into trouble. Vinnie and Jonny always want to play with Ian's stuff. They take extra turns and break everything they touch. Even Ian's new birthday presents are up for grabs. But when Ian gets a Slappy dummy from his dad, things go from bad to worse. 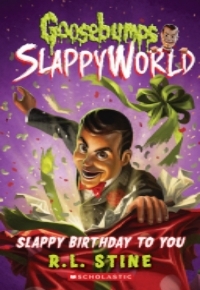 When Slappy's in charge, you don't fight over him, he fights over you! Reviewed by Hasnah Farraj-Doleh. Lolly Salt has three beautiful sisters. When they're not in school or running their small town's diner, they're secretly luring ships to their doom from the cliffs of Starbridge Cove, Maine. With alluring voices that twelve-year-old Lolly has yet to grow into (not that she wants to anyway) the Salt sisters do the work mandated by the Sea Witch, a glamorously frightening figure determined to keep the girls under her control. 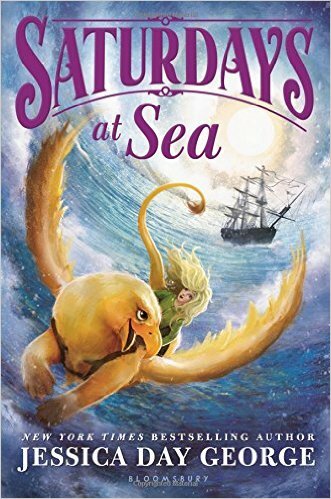 With their mother dead after a mysterious car accident, and their father drowning in grief, the sisters carry on with their lives and duties until a local sea captain gets suspicious about the shipwrecks. Reviewed by Angela Warsinske. Packed with full-color photos, fascinating facts and trivia, and great callouts from Jeff, this series is perfect for every kid looking to know the coolest, weirdest facts and trivia around! Challenge yourself to discover the world’s most remarkable plants! Reviewed by Eden Temple. 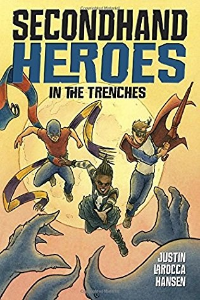 Jonathan Grisby is the newest arrival at the Slabhenge Reformatory School for Troubled Boys --- an ancient, crumbling fortress of gray stone rising up from the ocean. It is dark, damp and dismal. And it is just the place Jonathan figures he deserves. Because Jonathan has done something terrible. And he's willing to accept whatever punishment he has coming. Reviewed by Melissa Hurt. England, 1940. Barney’s home has been destroyed by bombing, and he and his mother are traveling to the countryside when German planes attack. Their train is forced to take shelter in a tunnel and there, in the darkness, a stranger --- a fellow passenger --- begins to tell them a story about two young soldiers who came face to face in the previous war. One British, one German. Both lived, but the British soldier was haunted by the encounter once he realized who the German was: the young Adolf Hitler. Reviewed by Shannon C., Teen Board Member. What's better than a book (and no, we don't mean ice cream)? It's a whole series of books! 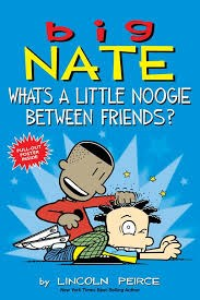 At Kidsreads.com, we know that a lot of you are all about series. Once you find characters, topics or a fictional world you love, you don't want to leave! That's why we add new books to our series features every month. Read below to see this month's updates, and click here to visit our Series page!